A pediatric dentist is crucial for maintaining your children’s oral health because their teeth will go through various stages from infancy to about their teen years. Children begin to grow their first set of teeth by the the sixth month of their life, before losing them again by age six or seven to make way for their permanent adult teeth. 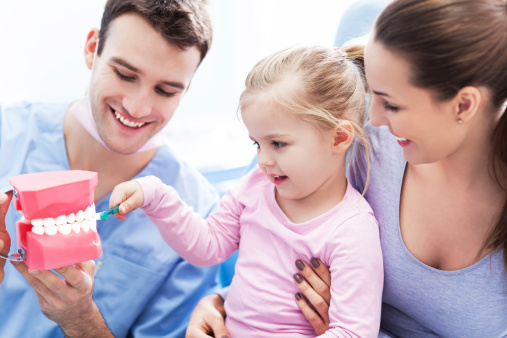 As your family dentist, Jepsen-Murphy and Associates will be attentive to your child’s needs and help them practice good oral hygiene while also understanding that children may experience some anxiety during their dental visit. If your child experiences extreme anxiety, we can use individual-oriented anesthesia to help calm and relax your child, but we’ll always work with you to help make their visit a pleasant one.